It’s that time of year when everyone is thinking about presents. Here’s a suggestion, give a book. And if you’re interested in Hakka food, give this book The Hakka Cookbook. 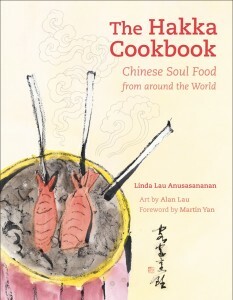 It’s by my friend Linda Lau Anusasananan and inspiration for my series on the Hakka Heritage Food Trail. What stands out about this book are the stories about Hakka people around the world. And the illustrations by artist Alan Lau. Buy one for your friends. Available at Amazon.com and other places listed here.